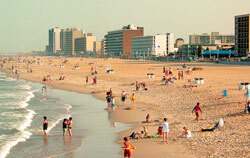 Welcome to our exclusive guide to new developments in Norfolk Virginia real estate. 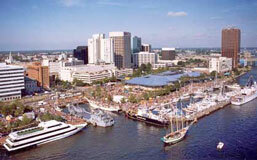 Downtown condominiums and homes on the Chesapeake Bay are very popular. Happy house hunting! East Beach brings traditional neighborhood design to Norfolk's Chesapeake Bay waterfront real estate. The charming homes, pedestrian scale, public parks and greens combine for a real sense of place. Shorewood Shores offers waterfront living on the Elizabeth River in Norfolk, Virginia. Single-family home community with a boat slip for every homeowner. There are only nine building lots in this exclusive development. Enjoy spectacular harbor views from the Spectrum condominiums at Willoughby Point in Norfolk. Resort-style pool, boat slips and private beach. Harbor Walk is a waterfront condominium community in a prime location off Shore Drive on the bank of the Little Creek. Deep water access to the Chesapeake Bay. At 31 stories and more than 450 feet tall, Granby Tower will be the height of sophisticated urban living in Norfolk, Virginia. Featuring luxurious condominium, townhome and penthouse residences. 24-hour doorman, concierge services, fitness center, pool, and secure indoor parking. The Rotunda is becoming downtown Norfolk condos. This round building should have interesting city views. The Row at Ghent will be urban condos in historic Ghent. One and two bedroom floorplans. Gourmet kitchens with pantry and island. Indoor parking garage. You'll have easy access to the newly vibrant urban life in downtown Norfolk Virginia at St Pauls Place condominiums. Next to MacArthur Center. Choose from industrial-look lofts or traditionally designed flats.